I know at this time of year it’s a little harder to stick to clean, healthy balanced foods and a lot of packaged food tends to creep into our diets – and that’s ok. Christmas, or any other time of the year, should never be about depriving ourselves of all the things we love but more about learning how to enjoy these indulgences so they benefit our health and body better for the long term. If we eat well ‘most’ of the time and fuel our bodies with as many fresh nutritious and delicious meals as possible then a few treats here and there don’t hurt at all. Plus all the ‘Sweet Treat’ Recipes on my ‘6 Wk Trim & Tone’ Online Pilates Program are very low in sugars (many have no sugars at all) and low in calories so you’re able to enjoy them in small amounts daily yay! Do your best to eat as healthy as you can when not socialising so you can indulge in a few Christmas Day celebration treatswith family and friends and I’ll get back to you about all the things you should be eating after Christmas Day, which you can learn on my Program. Chances are after eating ‘clean’ healthy meals and reducing your sugar intake with my Healthy Eating Meal Plans you may not even enjoy a day of sweets, treats and lollies. That big sugar overload will more than likely leave you feeling tired, sluggish, bloated and heavy and wanting to make some changes for the new year ahead. After this you’ll be all set to join us on my ‘6 Wk Trim & Tone’ Online Pilates Program, and then continuing on with your amazing results on my ‘Pilates For Life’ Ongoing Maintenance Program with all the other ladies. 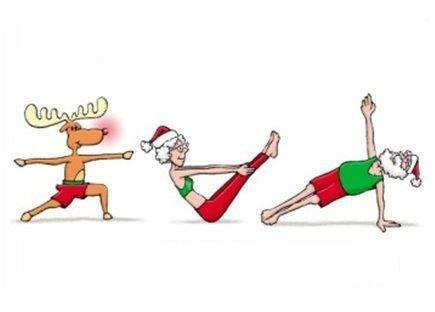 Merry Christmas & look forward to having you try all my yummy meals, recipes and fall in love with my Online Pilates Video Workouts.